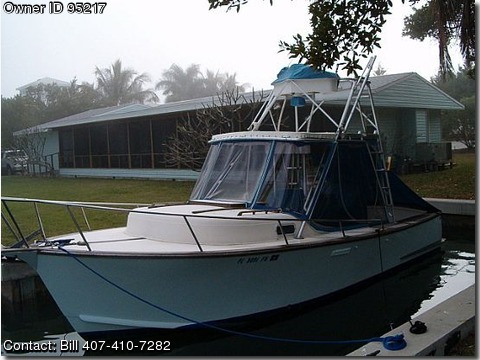 Contact the owner Bill @ 407-410-7282 or bbentley002@gmail.com. Engine is 2005 8.1 420HP Mercruiser Needs work, Rupp outriggers, Furono Fishfinder color, 2006 Garmin color chartGPS, VHF, Tower -Navman Trackfish 6500 GPS integrated to engine, Navman VHF. 30 gal livewell, 200 gal fuel capacity, 12 gal fresh water.